Home / All Loose Leaf Teas / Huo Shan Huang Ya Yellow Tea – 2 oz. This is a famous tribute tea dating back to the Ming dynasty. From the Hu mountains and prepared in a yellow tea style, meaning that after being dried with a very soft pan fry, the tea is covered and rested allowing for it to reabsorb its oils and fragrances. 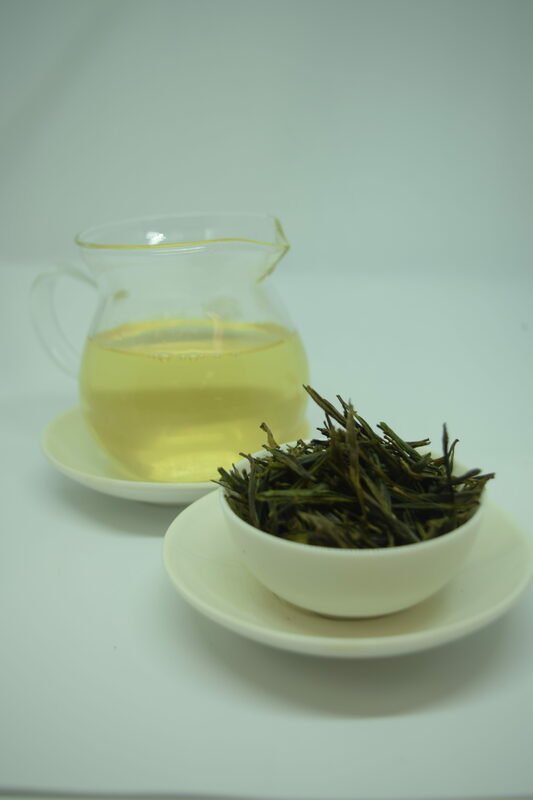 The result is a delightful, peppery, and delicate tea with the flavor of Honey Dew and a lingering sweetness. soothe your soul with the sweet delicate flavor of this rare yellow tea. This is a famous tribute tea dating back to the Ming dynasty. It comes from Hu mountains and is prepared in a yellow tea style, meaning that after a very soft pan fry to dry the tea it is covered and rested allowing for the tea to reabsorb its oils and fragrances. The result is a delightful, peppery, and delicate tea with the flavor of Honey Dew and a lingering sweetness. You may think about this as the chardonnay of teas for its delicate, light, and sweet notes. Food pairing: savory pastries, smoked salmon, light salads, light cheeses.